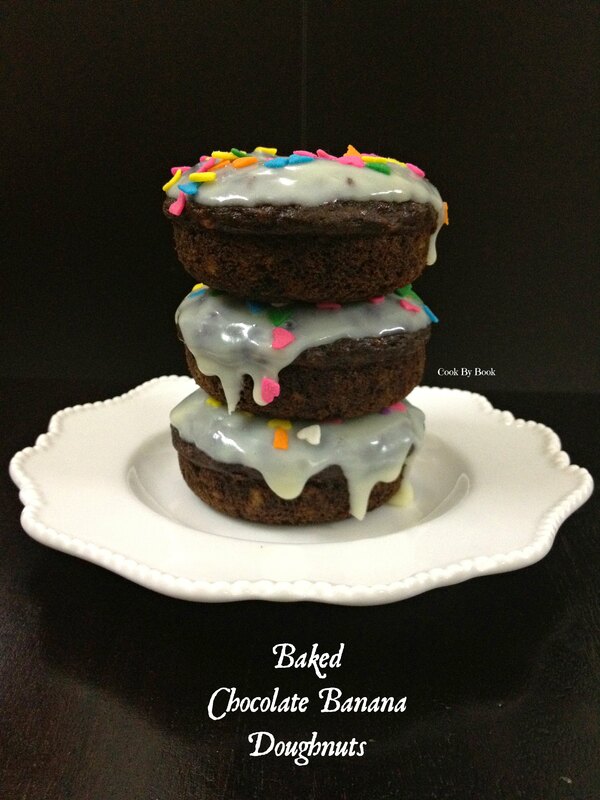 Baked Chocolate Banana Doughnuts ~ Low-fat & Egg-free! I pretty much say this about the every recipe I post here but these are the BEST thing ever ever baked in my kitchen! At least so Mr claimed! These are so moist, soft and super-pillowy. Banana and chocolate heaven in each bite! 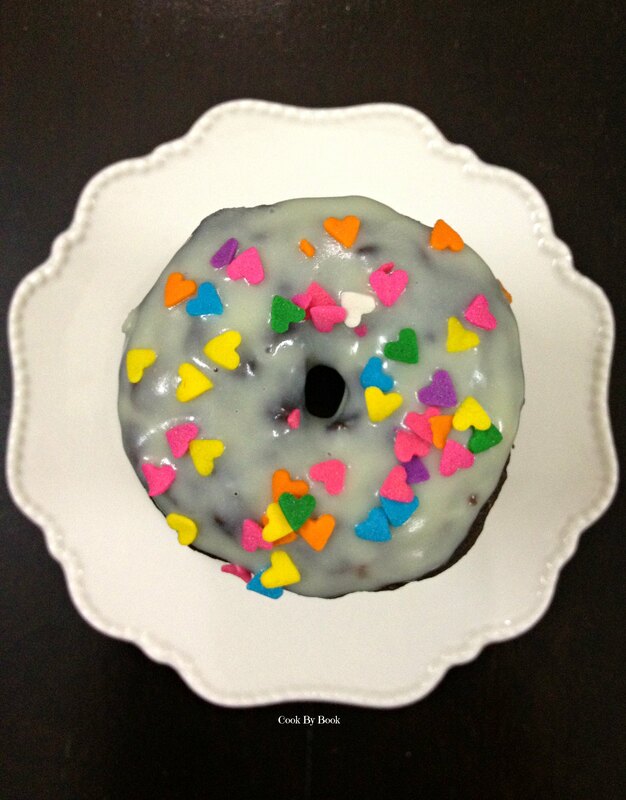 These baked doughnuts will truly rock your world I tell ya! 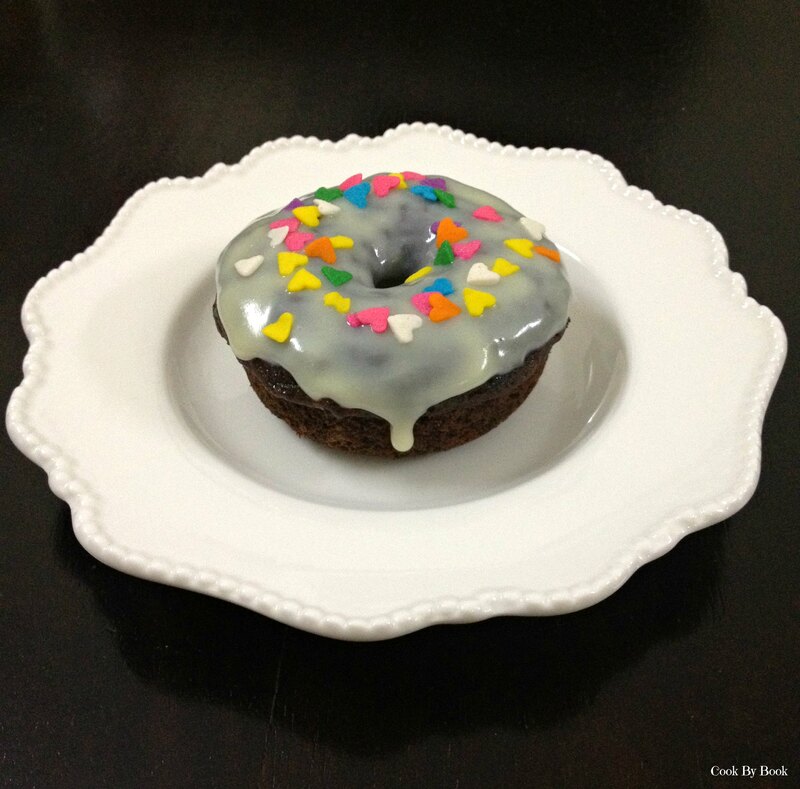 People with diet-restrictions, this recipe is a MUST in your repertoire!! Such a result without eggs and whole wheat flour… Amazing! Sift together flour, cocoa powder, baking soda and salt in a bowl. Set aside. In a medium sized bowl, whisk together melted butter and brown sugar. Whisk in mashed banana, yogurt and vanilla extract. Slowly fold in dry ingredients into wet ingredients. Divide the batter equally and fill the mold no more than 3/4th. Bake for 11-12 minutes. Cool in pan on a cooling rack for 5 minutes. Then carefully turn out doughnuts directly onto rack to cool. Preparing ganache: In a microwave safe bowl, heat the cream for 40-60 seconds. Fold in chopped white chocolate and mix till it melts completely. Dip cooled doughnuts one by one into bowl of ganache and place back on a cooling rack. Top with sprinkles and serve. Doughnuts will keep in an airtight container for 2-3 days. *In ganache reccipe, white chocolate may be substituted with dark chocolate. that dripping ganache.. ohh my! !